If “history prefers legends to men,” this movie hit the mark. Dark and packed with action and predictable blood-thirsty violence, this movie might at first come across as your average vamp hunt flick. Quickly, though, this complicated historical fictional tale’s plot begins to thicken – making it a movie for both vamp gurus and those who aren’t as vamp-savvy alike. Frankly, this is one of those movies where you just know it had to have been based off a book because its plot is so well-developed. (In this case, by Seth Grahame-Smith and one I may pick up just to get more of the back story I suspect was left out). 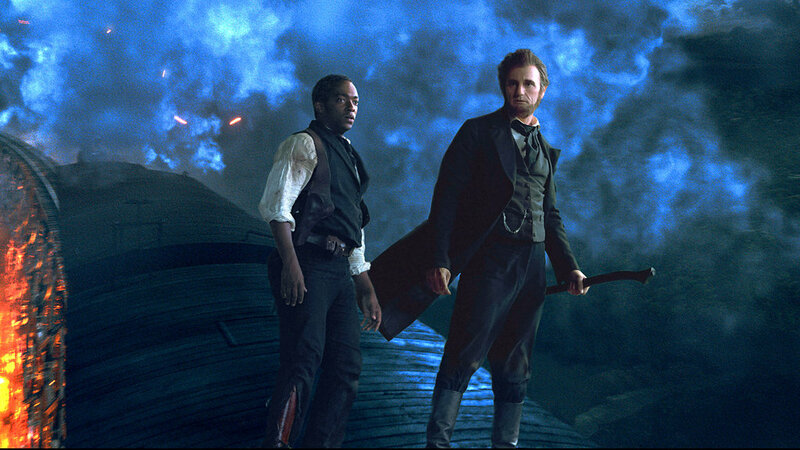 What impressed me most about “Abraham Lincoln: Vampire Hunter” was how much more was there than a run-of-the-mill vampire hunter film. This is not your ordinary vamp film, folks. But then, with a title like that, how could it be? Fear not, vamp lovers and history buffs alike. 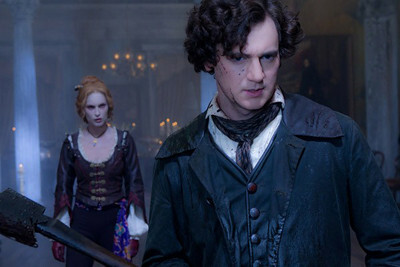 Its legendary title won’t let you down: From the main character’s relationship with his vampire hunter mentor through to the snippets of twisted history, the movie packed a punch. Speaking of punches, all I could think was how the movie—oddly enough—reminded me of one of my favorites; “Rocky.” And, for me, the hook was in those relationships more than the blood. The Mick to his Rocky Balboa, Henry (Dominic Cooper) becomes a mentor for the young Abe years after he loses his mother – set on teaching him how to hunt and destroy vamps years after Abe loses his mother to a vamp kill. His weapon of choice? Not boxing gloves. Instead, a silver axe. But it’s not as simple as it sounds. One of Henry’s rules is that human vampire hunters must live in solitude; never getting close to friends and family. For reasons revealed later, Henry insists Abe hold tight to this rule before agreeing to train him. He also asks Abe to agree to never hunt for vengeance; something Lincoln begrudgingly does. In this instance, the honorable Abe isn’t so honest. He does, indeed, want justice for his mother and is determined to become a vampire hunter with only one mission – to destroy them. Things get complicated after Abraham (Benjamin Walker) meets the sassy Mary Todd, (Mary Elizabeth Winstead) his very own Adrianne Balboa, who merely smirks when honest Abe tells her of his hunting habits. Ultimately, against Henry’s warning, Abe marries Mary – a decision that only complicates things more. “To protect others from darkness, you must first protect self.” Henry warned his mentee of the dangers of having a family. And even Mary, who didn’t take her husband’s hunting gig seriously soon learns the seriousness of his words. It even costs them their son William. This film takes us through Abe’s journey to the White House and touches on history through the Civil War. My one complaint is that it didn’t take us further but I did like the spin on the confederate army being comprised of mostly vampires. I think, because the movie was about one of America’s most beloved presidents, I wanted the story to go deeper into the historical facts of the time. But that would be asking for too much with an already jam-packed plotline that managed to hold my attention from start to finish – not an easy thing. I won’t be forgetting this film any time soon. It’s not that it was the best vampire movie I’ve ever seen. While the special effects, mix of gore, fight scenes and action, music and costumes were spot on for the genre as well, they aren’t what will stick with me. What will make it memorable is how uniquely thick its plot was and Henry’s character. Generally the ones to get the bad rap, Henry embodied a light in the predictable darkness that is too often showcased in vamps in vampire flicks and books. 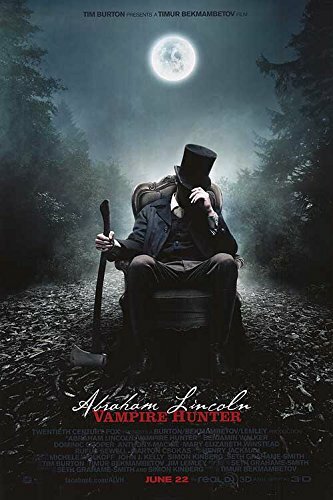 The character of Henry, combined with the director’s brave choice to take on a risky plotline touting the nation’s sixteenth president as a hunter, make this one for the alternative history books. 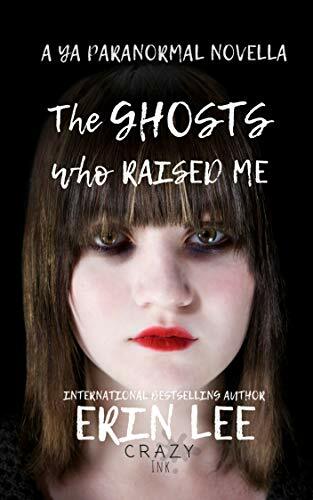 Erin Lee is a dark fiction/reality author and therapist chasing a crazy dream one crazy story at a time. She is the author of books published by Savant Books and Publications, Limitless Publishing, Black Rose Writing, Zombie Cupcake Press, Bella Tulip Press, and Crazy Ink. Lee holds a master’s degree in psychology and works with at-risk families and as a court appointed special advocate. When she isn’t busy dissecting the human experience, she enjoys escaping from reality through reading and spending time with her muses and canine companions and therapy dogs–Thomas the Terrier and Milo Muse. To her, laughter is the best medicine of all. You can check out her books on Amazon. “This book captivated me from the moment I read the blurb. I don’t normally read much YA but I was more riveted with each word I read. Very good book!! !” -Amazon Reviewer. This entry was posted on October 24, 2018 by Thomas S Flowers. It was filed under Horror, Movies, Reviews and was tagged with 2012, blogging, Erin Lee, film, Fright Fest, Fright Fest 2018, guest contributor, historical fiction, Horror, horror movies, Movies, reads, Reviews, vampires.